Knopf Books for Young Readers, 9780375865862, 336pp. 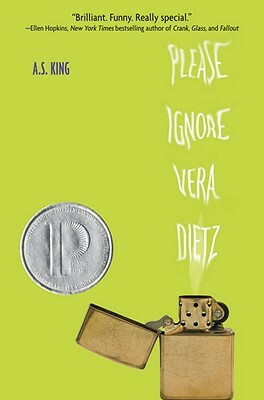 A.S. King is the award-winning author of young adult books including "Reality Boy, " "Ask the Passengers, Everybody Sees the Ants, "and "The Dust of 100 Dogs. "She has visited hundreds of schools to talk about empowerment, self-reliance and self-awareness. Find more at www.as-king.com.